Unbelievable and one-of-a-kind! This ring showcases a captivating 2.27 carat emerald cut fancy vivid yellow diamond, VS1, that measures 7.79 x 6.57 millimeter. 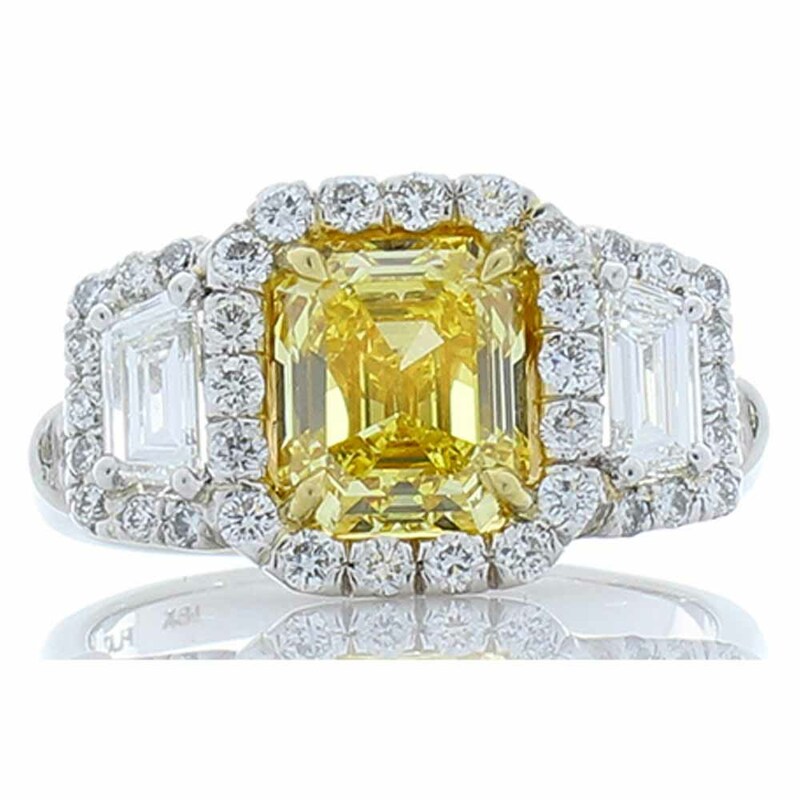 To find an emerald cut that is vivid yellow is extremely rare - it is auction worthy. The intensely sunny center is joined by step-cut trapezoid shaped diamond sides totaling .52 carat. They are F-G color and VS clarity. Glittering diamond accents make this ring pop with brilliance. The round diamonds are F-G color and VS clarity and total .62 carat. It is bold. It is beautiful. It is crafted of 18 Karat yellow gold and platinum and made to last a lifetime.